Hi Realtor is the first luxury real estate consultant. Our mission is to advise, service, innovate and adapt, with an international vocation for our market. Our offices are located at strategic points. We offer a comfortable space so that together we manage the operations you need in Barcelona, Sant Cugat, Ibiza, Marbella, Maresme, etc. Get to know them! At Oi REALTOR we are looking for new talents with the desire to be part of a team focused on customer satisfaction through a professional and exclusive service. To communicate our tastes and preferences we have chosen to create a magazine of our own. A space where you can travel, eat, learn and learn about the most interesting luxury properties. We want you to have the best possible experience for shopping, sales or rentals. You can find the agent by branch and qualify them according to their performance. 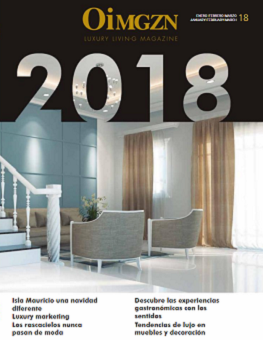 We have compiled corporate material and a catalog of newspaper articles with the presence of OIREALTOR, so that media and graphic media can select what they need.